HIAWASSEE, Ga. – Towns County High School was awarded a grant by the Georgia Governor’s Office of Highway Safety (GOHS) in the amount of $6,181 for the Students Against Destructive Decisions (SADD) Club. Towns County Schools received the GOHS grant for the fourth consecutive year. In 2016, Towns County was awarded a grant in excess of $20,000 to purchase a vehicle for the school’s Driver’s Education Program. The current grant runs through June 30, 2019, and will be applied toward bringing a guest speaker to advise local high school students on making wise decisions, especially while driving a vehicle, to send students to the National SADD Conference, and for supplies for the SADD Club. 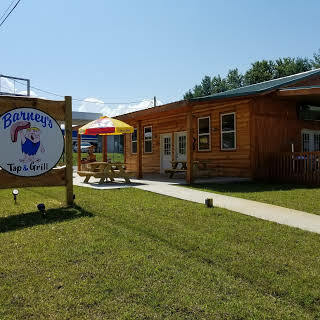 HIAWASSEE, Ga. – Barney’s Tap & Grill has offered to donate 10% of menu sales to the Towns County Parent-Teacher-Student Organization (PTSO) on Tuesday, Oct. 16, 2018, from 4 p.m. to 7:30 p.m. Enjoy a delicious meal for a great cause. 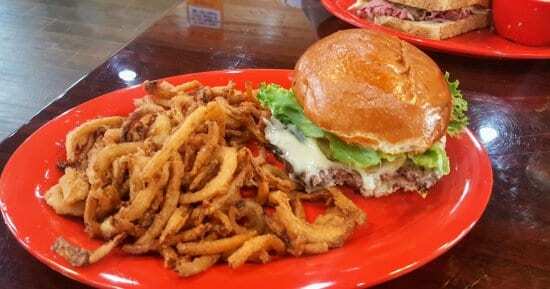 Barney’s Tap & Grill is located at 147 South Main St. in Hiawassee. 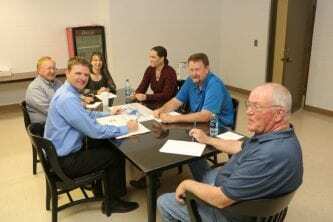 HIAWASSEE, Ga. – Towns County Board of Education (BOE) approved multiple staff additions for Towns County Schools at their regular work session on Monday, Oct. 1, 2018. Fundraisers for the Elementary School Council, Middle and High School Basketball teams, and a Middle School trip to New York were approved by the Board. In addition, a third grade field trip to the smokey Mountain Theatre in Franklin, NC, was authorized for Oct. 18, and a High School Journalism class trip to the University of Georgia Tate Center was accepted. Financial Director Myra Underwood delivered the financial statement, including an increase of $120,000 in the General Fund, according to the Department of Education’s final report which ended in June, 2018. The figure amounts to six percent under budget for the previous fiscal year. The Board of Education continues to await state reimbursement from summer renovation to the school campus, stating the initial funds to be received is unknown. The first stage of the renovation was projected at a cost of $3.6 million, although stage one of the construction was completed approximately $200,000 under budget. Towns County School Superintendent Dr. Darren Berrong stated an amount ranging between $1.5 – $2.5 million is expected in the near future. Additional renovations to the school campus are expected to continue next summer. The meeting concluded with the Board entering a closed, executive session to discuss an amendment regarding coaching supplements. 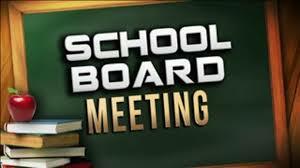 The regular Towns County Board of Education session date was rescheduled for Monday, Oct. 8, at 7 p.m. at Towns County Schools. HIAWASSEE, Ga. – Winter weather can be difficult to predict in the Georgia mountains, and travel can be dangerous in the event of substantial snowfall or icy roadways. Towns County Schools plans to implement Online Learning Days should inclement weather force students to miss on-campus classes during the winter quarter. Due to a late start to the 2018-2019 school year, the result of campus renovation, the school calender is on a tight schedule. In order to ensure that the school year wraps-up on May 24, 2019, as planned, Towns County Schools Superintendent Dr.Darren Berrong has decided that Online Learning Days is a creative way to keep the student schedule on track. Students will be able to access assignments from home through Google Classroom, a program that teachers were trained to use during the pre-planning process. Teachers will post office hours within Google Classroom, communicating with students as needed. Alternate assignments can be requested by parents and students without home internet access. Likewise, after school labs will be offered to students that lack internet access for one week after the Online Learning Day to provide an opportunity to complete lessons. Parents are encouraged to begin communication with their child’s teacher as to whether home internet access is available in order to suit the needs of the individual student. The school system explains that while nothing can replace on-campus classes, Online Learning Days are an appropriate alternative because the student calender is fixed, as additional campus renovation is planned to begin once the school year ends on May 24. While many school systems regularly utilize Online Learning Days, Towns County Schools says it is a fresh endeavor that they will strive to improve over time. Specific information regarding Online Learning Days will be sent to parents from each school. Opportunities to provide feedback will be encouraged once the plan ensues. The feedback will be studied by staff, serving as a guideline to continually improve the online learning system. « Previous Article Lady Indians Fall To Wolverines Of P.A.C. HIAWASSEE, Ga. – Towns County Schools Facility Director Roy Perren spoke with Mountain Movers & Shakers on the morning of Friday, Aug. 24, on several subjects – one of which was the process taking place within the school system to ensure students and staff remain safe on campus. Towns County Schools Superintendent Dr. Darren Berrong and Towns County Sheriff Chris Clinton attended the forum, with both officials addressing the issue. In light of the recent decision reached by Towns County Board of Education to station a second school resource officer on campus, along with an announcement to arm select faculty members, the room filled with local residents paid close attention to the limited details offered by the three officials. Due to the sensitive nature of the matter, based on the solid logic that individuals who may intend to cause harm should not be made privy to specific information that could potentially assist a perpetrator in the fulfillment of a detrimental plan, the trio of leaders adequately ensured, rather, that proper procedures are producing a viable security system. Perren advised that if escaping isn’t an option, barricading within the facility is the next best choice, followed by countering the attacker. Several table-top discussions have occurred over the summer months, in conjunction with Georgia Emergency Management Agency (GEMA), with officials from the full-scope of local first responder agencies taking part in the school safety endeavor. According to Perren, an active shooter drill, which will consist of county and city law enforcement, firefighters, and medical staff, is planned to take place in the coming months. The drill will be conducted at a time when classes are not in session. 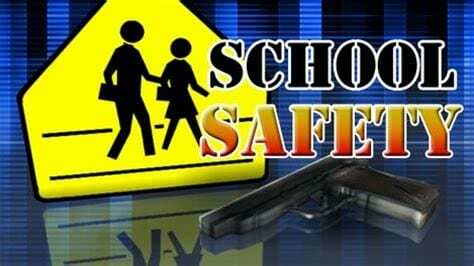 School Superintendent Berrong stated that strict protocol will be imposed when allowing limited faculty to have access to a firearm to counter a threat in the event of an active shooter scenario. Berrong assured that extensive training is a necessity, and noted an importance for responding law enforcement officers to have the ability to adequately identify an armed protector from an armed intruder. 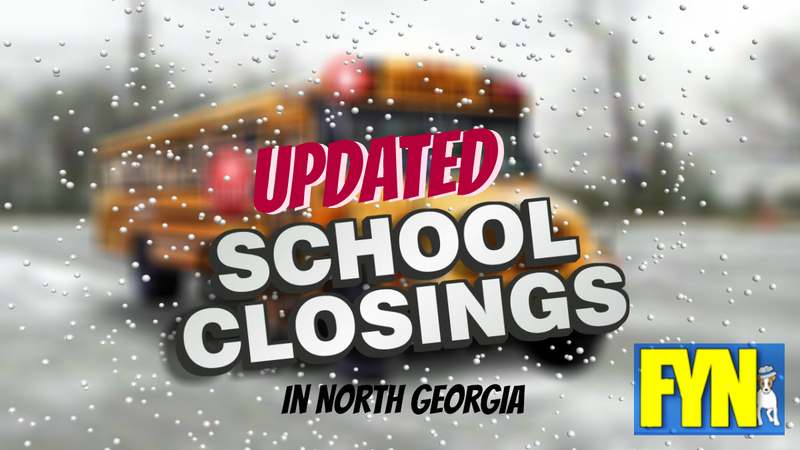 HIAWASSEE, Ga. – Towns County students are scheduled to return for the 2018-2019 school year tomorrow, Aug. 16. First-stage renovations to the school campus have been completed on time, and a second school resource officer is signing on to provide additional safety measures for students and staff. 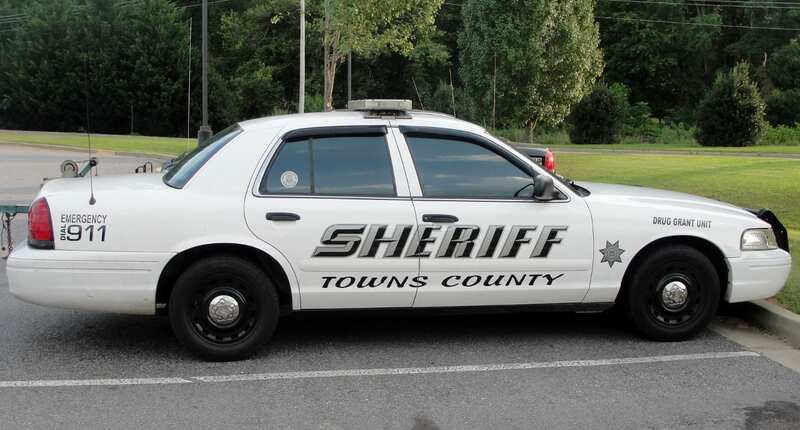 Towns County Board of Education decided at their regular monthly meeting on Aug. 13, to hire Towns County Sheriff’s Deputy Sally Tanner to fill the role. Tanner, a former Union County school resource officer, has served with the Towns County Sheriff’s Office since 2017. Tanner will be assigned to the elementary school, with veteran Resource Officer Donnie Jarrard manning the middle- and high school areas. 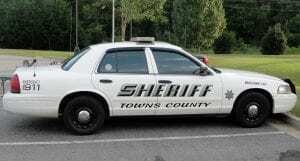 Towns County Board of Education voted unanimously at a special-called meeting on July 19 that a second school resource officer was in the best interest of student safety, as Officer Jarrard has been assigned to traffic duty in the past, when classes begin and end each day, and often travels with students out-of-town for field trips and to sporting events. Towns County Board of Education will be responsible for funding 75 percent of the cost of the additional officer, with the remaining 25 percent taken from the Towns County Sheriff’s Office budget. As for the renovations, the second phase is expected to begin next summer, and will include an updated fire alarm system, electrical rewiring, painting, and new flooring and doors. The construction that occurred this summer consisted of roof replacement and an overhaul to the HVAC system. 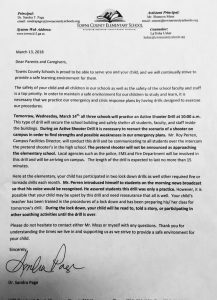 HIAWASSEE, Ga. – On the morning of Wednesday, March 14, a lock-down training exercise took place at Towns County School at 10 a.m. While there was a call for a nationwide walk-out in remembrance of the 17 lives lost Feb. 14, 2018, at Marjory Stoneman Douglas High School in Parkland, Florida, many schools across the nation chose a proactive approach. FetchYourNews (FYN) learned of the drill and hoped to highlight the positive measures taken. In the aftermath of the Parkland tragedy, FYN has reported on the subject of school safety in Towns, Gilmer, Fannin, Union, Lumpkin, and Dawson County, Georgia, as well as Cherokee County, North Carolina. While the ultimate safety of students is not being called into question, with FYN maintaining conviction that security is of the utmost concern for Towns County School administrators and Towns County first responders alike, unexpected questions arose during our research. Following an unsuccessful, in-person attempt to acquire sufficient information on the active shooter drill from the Towns County Sheriff’s courthouse office, FYN contacted the emergency agencies listed as participants in the training exercise. FYN was surprised to learn that the Hiawassee Police Department, Towns County Emergency Medical Services (EMS), Towns County Fire and Rescue, as well as the Towns County Emergency Management Agency (EMA) were not notified that a drill was scheduled, and therefore did not participate. At a Movers and Shakers meeting held Feb. 23, Towns County Sheriff Chris Clinton, along with Towns County School Superintendent Dr. Darren Berrong, spoke with concerned citizens regarding school safety. The sheriff divulged that a few years had passed since an active shooter drill was conducted. Sheriff Clinton opened his speech by recalling a recent conversation with Hiawassee Police Chief Paul Smith. “The chief and I were just discussing this, what, a week ago maybe, that it’s about time that we do another one, and that we do it together,” Sheriff Clinton assured. After referencing the 1999 Columbine tragedy, Sheriff Clinton asked, “What’s been done by the government to make our children safer? Not a single thing. Because a lot of people think they can get up and talk about it, and they can harp on whatever their pet issue is. I’m pro-gun, I’m anti-gun, whatever, but as long as they’re talking about it and people are listening, they are getting political mileage out of it, and they really don’t care. I’m sorry, but I care. At the conclusion of the forum, Sheriff Clinton acknowledged a need to ensure all first responders are familiar with the school’s campus and lock-down procedure. The sheriff told those in attendance that it is up to the community to decide what level of security they want in place. “I work for you,” Sheriff Clinton reminded. FYN contacted Sheriff Chris Clinton on the evening of the lock-down in anticipation of learning why his plans to include other emergency agencies had changed. Sheriff Clinton failed to provide an explanation, focusing rather on garnering the individual identities of FYN’s sources. Shortly after asked if proper protocol was followed, a concern brought to the attention of FYN by an emergency official, Sheriff Clinton ended communication. The following day, Thursday, March 15, FYN Chief Executive Officer Brian Pritchard sat down with Hiawassee Mayor Liz Ordiales, Hiawassee Police Chief Paul Smith, and Towns County Fire Chief Harold Copeland, reconfirming the lack of communication and coordination. 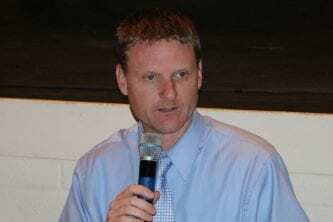 FYN met with Superintendent Dr. Darren Berrong on Friday, March 16, in search of further clarification. Berrong revealed that the active shooter drill was implemented between himself and Sheriff Clinton, following the Movers and Shakers forum. Berrong was then asked to recap the drill. FYN contacted Towns County School Facility Director Roy Perren. Director Perren relayed that the exercise was exclusively planned for the Towns County Sheriff’s Office and that there was never an intention to include other emergency agencies. The facility director added that a Towns County School meeting will be held in conjunction with the Georgia Emergency Management Agency (GEMA) April 13 concerning the involvement of all first responders, should an emergency situation arise. Elementary School Principle Dr. Sandra Page returned FYN’s request for comment on the afternoon of Monday, March 19. 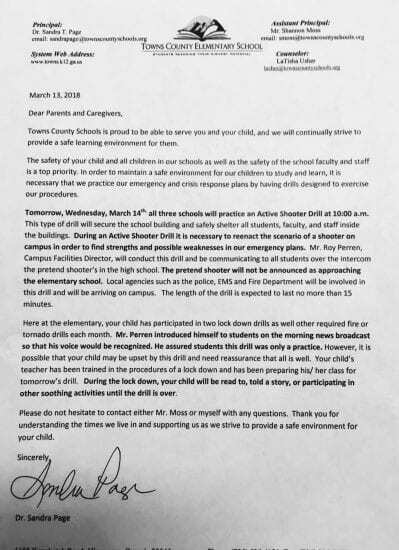 This left FYN with more questions than answers, considering that none of the emergency agencies listed in the letter had been notified that an active shooter drill had been scheduled. Hiawassee Police Department, Towns County EMS, Towns County Fire and Rescue, and Towns County EMA state that their departments expect to take part in future training exercises.